The unforgiving environments of naval aviation & combat have a lot to teach the civilian world of business! When two pilots close at 3000km/h at 50.000 feet above the ground before pulling 10gs there is simply no room for error or inefficiency. To survive and be efficient in combat fighter pilots have to make the most out of every single mission, everyday of their career. Discover how pilots learn from their mistakes and constantly strive for perfection, how they manage stress, their team members and how they take decisions at Mach 2. Your team will understand that the challenges of using those multi-million dollar planes in hostile environments are linked to the challenges they face on a daily basis. Learn form a recently retired instructor about the latest methods and techniques used in aviation, that translate to the business world. “Ate” can also focus on a specific topic you would like to cover, he will adapt to your needs to deliver a unique speech and share techniques and methods with immediate return on investment. 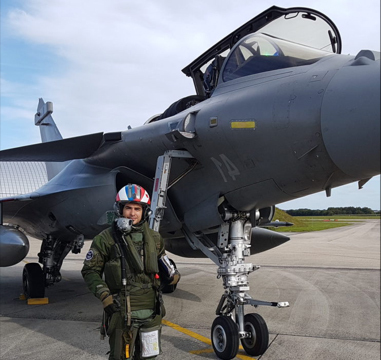 Taking split-second decisions in hostile environments when lives and multi-million pound state-of-the-art fighter aircraft are at risk is part of the daily routine of a fighter pilot. Improvisation, not chance, is only part of the equation, combined with discipline, previous thinking and mental preparation. Join us in this workshop to streamline your decision-making skills and train in mental preparation. Landing on a pitching aircraft carrier at night, running out of fuel in the middle of the ocean, firing weapons systems in testing conditions to save troops on the ground, being in the gun or missile sights of an enemy and being shot at or even displaying a jet in front of 110.000 people - does it sound stressful to you ? Sixty crew member from eight different countries flying different aircraft that have never met. Hundreds of targets to prioritise. Two hours to brainstorm and prepare the mission. 3,2,1: GO! 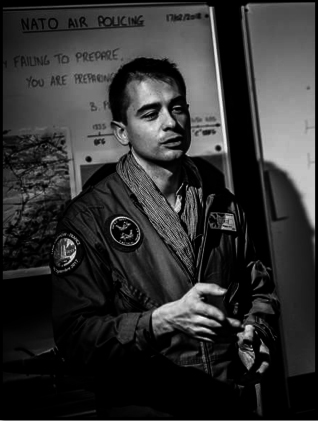 Discover how pilots manage their missions, from brainstorming to debriefing. You are planning the mission, get ready for some role playing. How can the military take a high school student and get him/her Combat-ready to fight in a jet based on an aircraft carrier in less than five years? 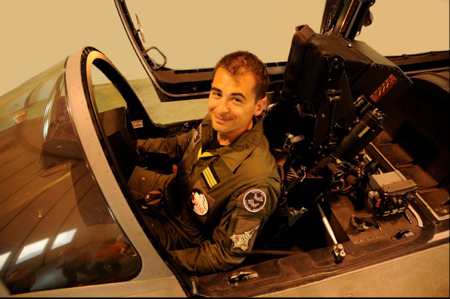 How can the same pilot become head instructor before his 30th birthday? The answer: continuous improvement. How is it done in aviation? By acing the art of the Debriefing. 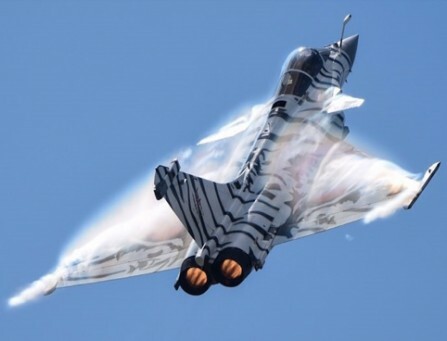 “Até” flew fighter aircraft from aircraft carriers in the French Navy for a decade. He flew day and night combat operations in Iraq, has flown airshows in Europe and instructed on the Dassault Rafale. He has logged over 2,500 hours of flight time and 200 carrier landings. 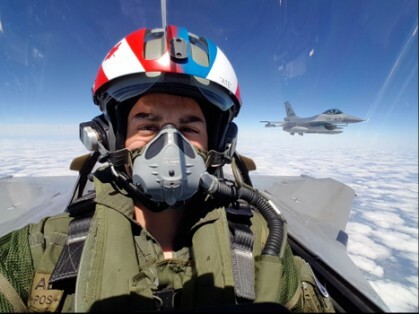 During his career he faced numerous emergencies, had to make countless life or death decisions and led young pilots into combat who he had trained. He now shares the methods and techniques he used in the cockpit of his fast jet with the corporate world as a speaker, coach and consultant all over Europe. “Até” is still active in the aviation industry, being a qualified pilot in the Boeing 737MAX for a major airline.